I LOVE to watch ice dancing, BUT I never thought the US would have so MANY strong teams in this discipline! I’m VERY proud that we have such accomplished dancers going to the Vancouver Olympics. Can we beat the Russians? Hmmm… we’ll have to see. But we can be TOUGH competitors this year! 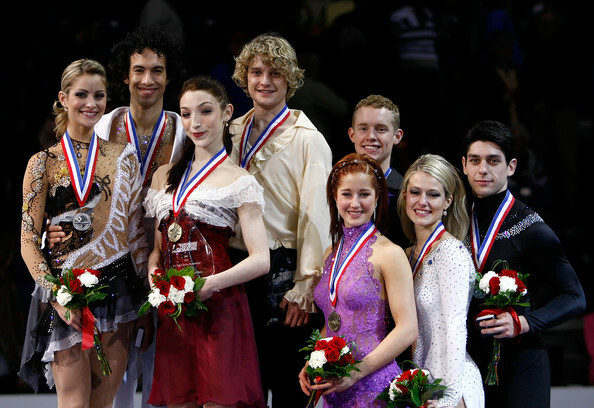 Part-time University of Michigan students Meryl Davis & Charlie White (pic above) defeated Tanith Belbin & Benjamin Agosto for the 1st time in their careers. Davis & White had a very creative Original Dance (OD) this year with Bollywood music. Their style and flair remind me of my fave team, Marinna Anissina & Gwendal Peizerat (FRA). In their Free Dance, D&W skated to music from Phantom of the Opera. Though both teams had well-choreographed/difficult/engaging programs, D&W had better music than B&A. I think the audience was leaning a little more toward D&W also. I esp. liked D&W’s lifts and how they used the music. They are BOTH very strong skaters; they were paired up 10 years ago! Samuelson & Bates, who I learned about last year, are very strong/athletic skaters. But they can also be artistic, as they showed in their FD. Any figureskating (FS), esp. 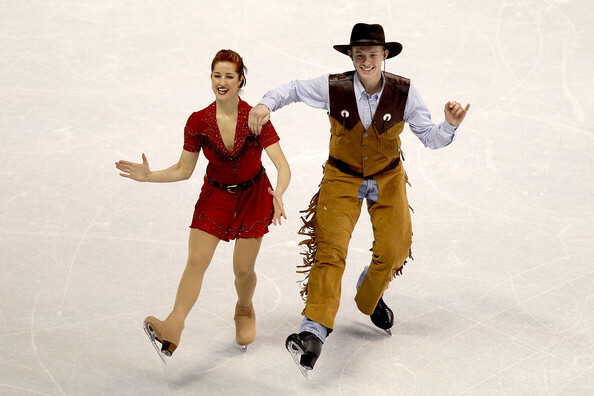 ice dancing, fans out there in cyberspace? Pairs and Ice Dance have always been by fave divisions of the sport of FS. After a few years of not paying much attn, I’ve decided to check back in w/ the world of FS. My most fave team in ice dance: Marina Anissina & Gwendal Peizerat (A&P) of FRA. I followed their career for several years, discussed them w/ many online fans, and even made a little web site dedicated to them. They were very dramatic, creative, and connected very well w/ audiences. The choreography and lifts they did were awesome! Charlie’s long-ish blonde curls and wide smile immediately reminded me of Gwendal! This team is coached by Igor Shpilband and Marina Zueva. Shades of A&P here… Charlie is a very strong/powerful skater (he used to compete in Singles), and Meryl is very fluid/light in her movements. This team was very light, fluid, and elegant over the ice. They reminded me of the great Russian dance teams of the past. They are brother and sister, so (of course!) are also very well-matched. Thus begins one of the most-loved/discussed novels of English literature. It has been read in high schools, colleges, etc., by most of the women we know. 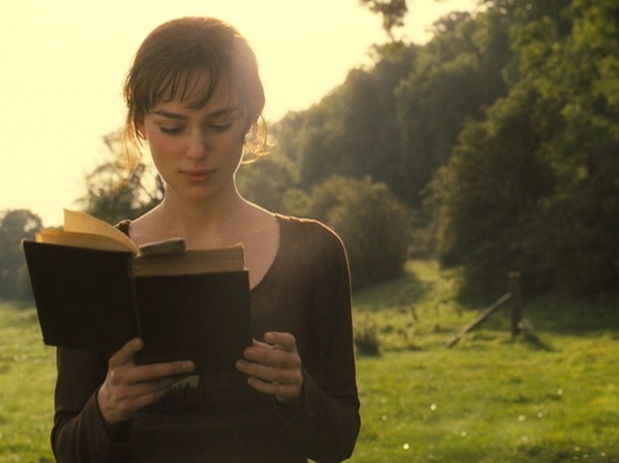 We keep coming back to this book, and don’t forget the numerous TV/film adaptations. 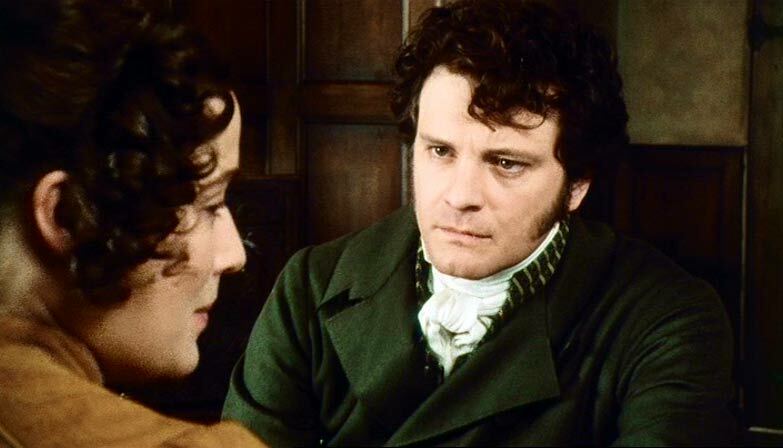 She is tolerable; but not handsome enough to tempt me; and I am in no humour at present to give consequence to young ladies who are slighted by other men. 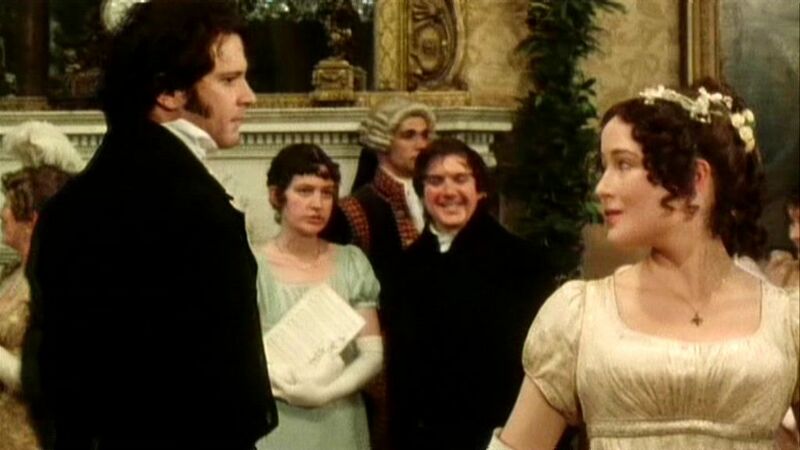 Mr. Darcy soon drew the attention of the room by his fine, tall person, handsome features, noble mien; and the report which was in general circulation within five minutes after his entrance, of his having ten thousand a year. You either chuse this method of passing the evening because you are in each other’s confidence, and have secret affairs to discuss, or because you are conscious that your figures appear to the greatest advantage in walking; — if the first, I should be completely in your way; — and if the second, I can admire you much better as I sit by the fire. Yes, vanity is a weakness indeed. But pride — where there is a real superiority of mind, pride will be always under good regulation. …But disguise of every sort is my abhorrence. Nor am I ashamed of the feelings I related. They were natural and just. Darcy’s first proposal is is very surprising to Lizzie- she tells him off! 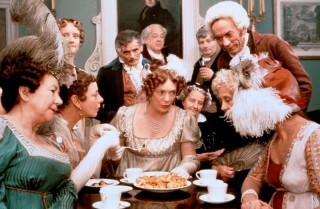 (After all, she thinks he’s treated Wickham very unfairly and ruined Jane’s chance at happiness with Bingley.) 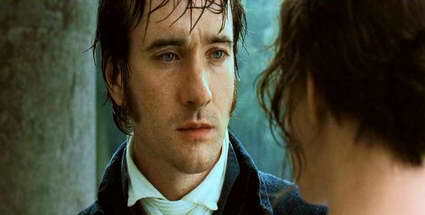 I really like the lines above that Darcy says, about how he hates to hide his true feelings. 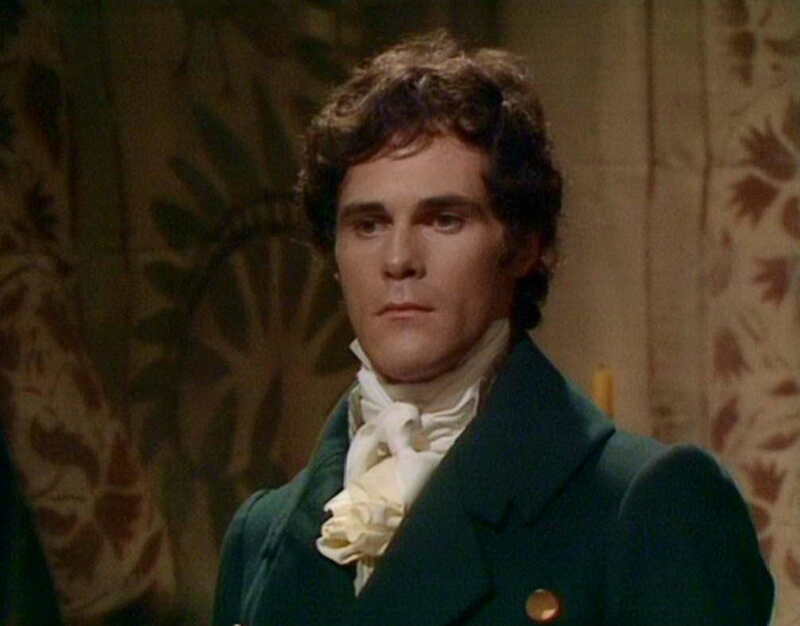 When all hell breaks loose (because of Lydia’s running away with Wickham), Darcy becomes very concerned. We see his sympathtic side (above), but we won’t discover until much later just how much he has helped the Bennett family. (Actions speak louder than words.) If Lydia and Wickham hadn’t been married off quickly, then the the other sisters would’ve been tainted for life. 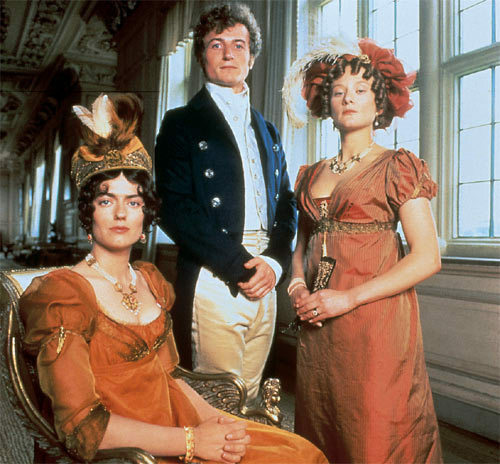 Elizabeth felt guilty because she hadn’t revealed Wickham’s true character to others; Darcy had to protect Georgiana, his teenage sister, so he couldn’t expose Wickham either. 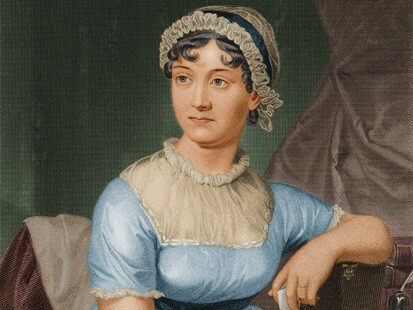 …Let me thank you again and again, in the name of all my family, for that generous compassion which induced you to take so much trouble, and bear so many mortifications, for the sake of discovering them. If you will thank me,” he replied, let it be for yourself alone. That the wish of giving happiness to you might add force to the other inducements which led me on, I shall not attempt to deny. But your family owe me nothing. Much as I respect them, I believe I thought only of you. As a child I was taught what was right, but I was not taught to correct my temper. I was given good principles, but left to follow them in pride and conceit. Unfortunately an only son (for many years an only child), I was spoilt by my parents, who, though good themselves (my father, particularly, all that was benevolent and amiable), allowed, encouraged, almost taught me to be selfish and overbearing; to care for none beyond my own family circle; to think meanly of all the rest of the world; to wish at least to think meanly of their sense and worth compared with my own. 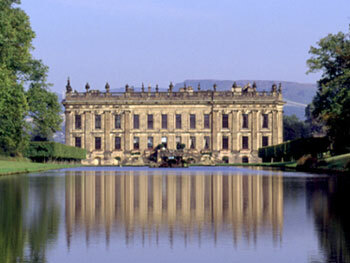 Such I was, from eight to eight and twenty; and such I might still have been but for you, dearest, loveliest Elizabeth! What do I not owe you! You taught me a lesson, hard indeed at first, but most advantageous. By you, I was properly humbled. I came to you without a doubt of my reception. 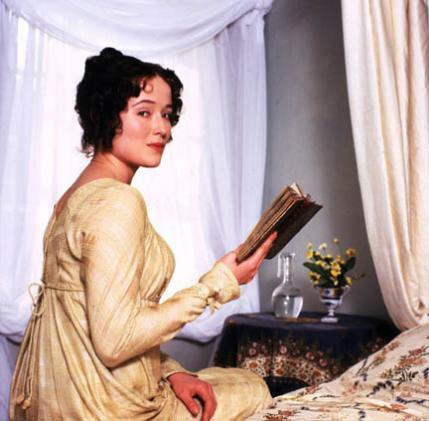 You shewed me how insufficient were all my pretensions to please a woman worthy of being pleased. How can you not love such words, these characters, and such a terrific ending!? 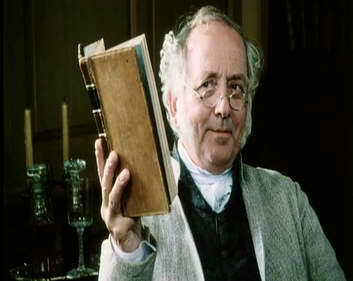 The Bennet parents are humanized by Blethyn and Sutherland. Pike is the perfect Jane. Malone (who’s American like Sutherland) does a terrific British accent and plays the flighty Lydia w/ gusto. The adorable Carey Mulligan makes her film debut as Kitty. 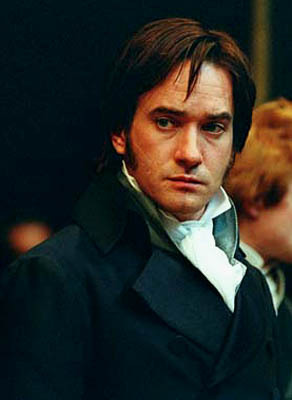 Macfadyen (a theatrically-trained actor) is a terrific Mr. Darcy- tall, slim, subtle, and not too much of a pretty boy. 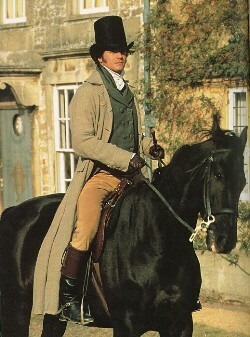 He looks posh and elegant in all the costumes, but never overly imposing. 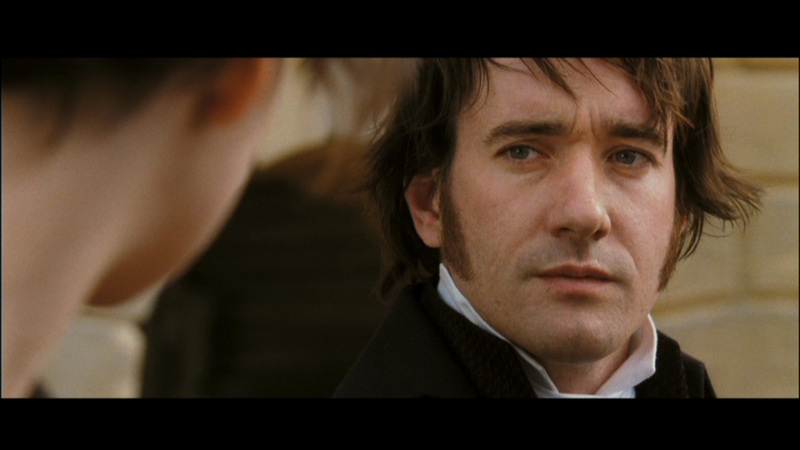 Darcy’s feelings are reigned in tightly, but his eyes are expressive. And don’t forget that voice– one of the most gorgeous in all of show business! 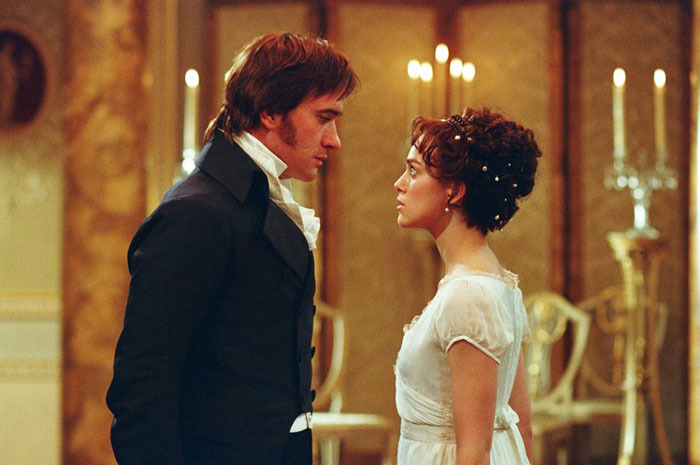 “They just fancy each other,” Wright comments, noting the deep physical attraction between Lizzie and Darcy. 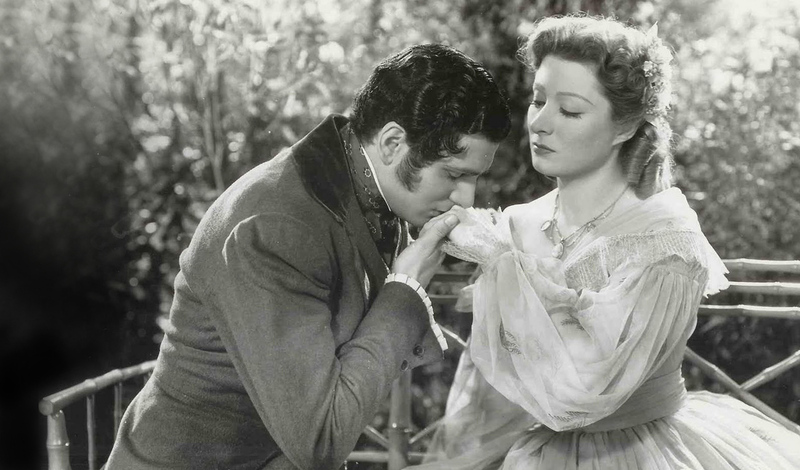 When she follows Jane to Netherfield Hall on foot, Lizzie’s hair gets mussed and her hem gets muddy. 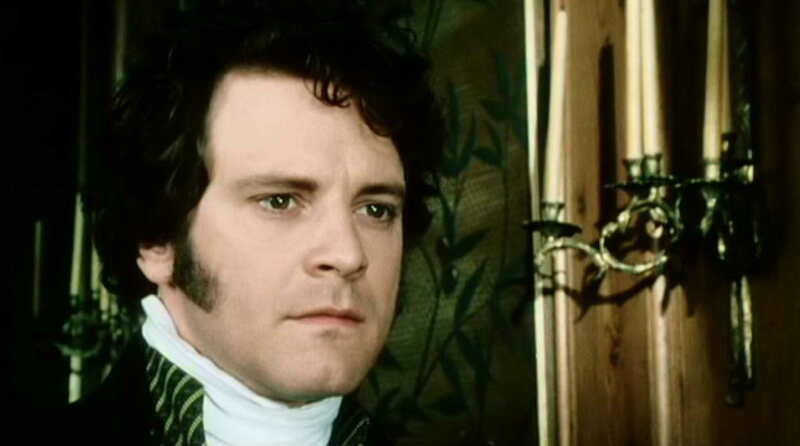 Darcy is shocked, like best pal Bingley and his sis Caroline, but also intrigued. He has never met a woman like her before! 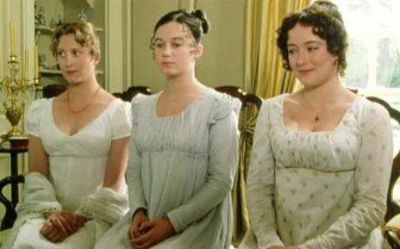 When Jane gets over her bad cold, and she and Lizzie have to leave, Darcy helps Lizzie onto the carriage. This is the first time they touch, and he’s very affected by it.